I’m from North Bay, Ontario. The implants are finally finished. A longer procedure than I expected. About 10 hours in the chair this month. 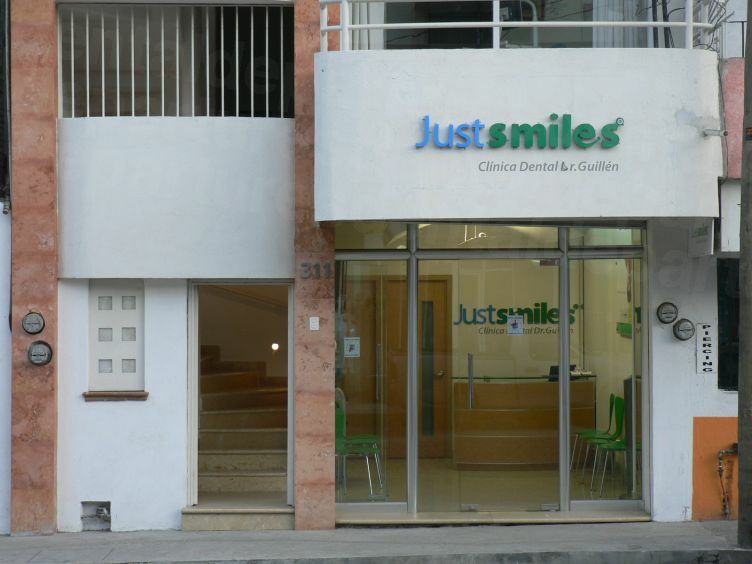 My dentists were all at Just Smiles, Basillo Badio 311, Emiliano Zapata, Puerto Vallarta, Jal, Mexico 48380. Primary dentist is Dr. Martin. Guillen Calderone. Some work was done by Dra. Martha A. Haro Cruz did the temporary crowns on one side. Dra. Angelica Maria Aquilar Vargas extracted the back lower molar. Dr. Cesar Garcia did root canals. 2 others assisted at various times. Get a free consultation with Just Smiles. I don’t have adequate experience or knowledge to compare dentists. I’m satisfied there but will mention that my neighbor here was replacing all her teeth with implants and permanent bridges elsewhere at the same time. She had apparently started at Just Smiles but was dissatisfied with communication about the procedure and felt he was doing too much in each visit. She was very satisfied with Dr. De Alba and his wife / partner Dra. Arlette De Alba. I have never met them. They are in the other end of town but they both speak fluent English. I will pass on their phone #322-224-2321. My son winters in Melaque. 200 km South of Vallarta. He recommends father son partners there. Melaque hosts a lot of old Canadian expats. While visiting, I met people who got implants there and were very satisfied. I visited Dr’s Eduardo Jr and Senior. They charged nothing for the consult and quoted 19,000 pesos (about $1300 USD) for a 4 tooth bridge (can’t remember if it was permanent or removable). Much cheaper than Just Smiles but advised me to complete my current implants where I started. I got no details about the bridge he proposed. Office equipment looked old and I didn’t see a panoramic x-ray but, of course I was just getting an estimate so didn’t see the entire operation. Unlike my experiences in Canada, Mexican dentists are happy to give estimates by phone. I was not charged extra for panoramic x-rays or any other extras. I chose this office because it was an easy walk from my apartment. It appears very clean, and modern. All staff speak English. It’s used by many tourists and temporary residents. Prices were quoted up front and were all-inclusive. (no surprises). 10% off for cash on expensive procedures. Prior to starting I spoke with several people who had been treated there and no bad comments. I was very satisfied. Appointments always within a week, usually 1 or 2 days. Dr. Calderone was very personable, but I would have appreciated answers to questions about the procedure that didn’t occur to me until his fingers were in my mouth. He didn’t volunteer info about what he was doing or how it was going. (He speaks very good English but, naturally uses Spanish with the other dentist or tech assisting him) so I had no idea what they were doing. How much did your procedures cost? 6 abutments & crowns – 6900 mp = $5844.99 C = $4712.56 US – 10% off for cash in mp. I was quoted 65,200 mp – 10% off if cash for a bridge and 2 implants to replace my upper partial plate with 4 front teeth and 2 upper molars but decided not to proceed this year. How many trips to Mexico were required? I spend 2 to 4 months in Mexico each winter so spread it over 4 years but most, including implants could have been done with 2 or 3 visits in one trip. The abutments, temporary and permanent crowns required 5 visits over 20 days, Jan 8 to Jan 28 including time for healing so would have required 2 trips or a one month stay. What are you to do if you have a problem with your implant? I was advised that bacteria were the enemy of implants so meticulous cleaning, a water pic, 2 professional cleanings per year should prevent any problems. 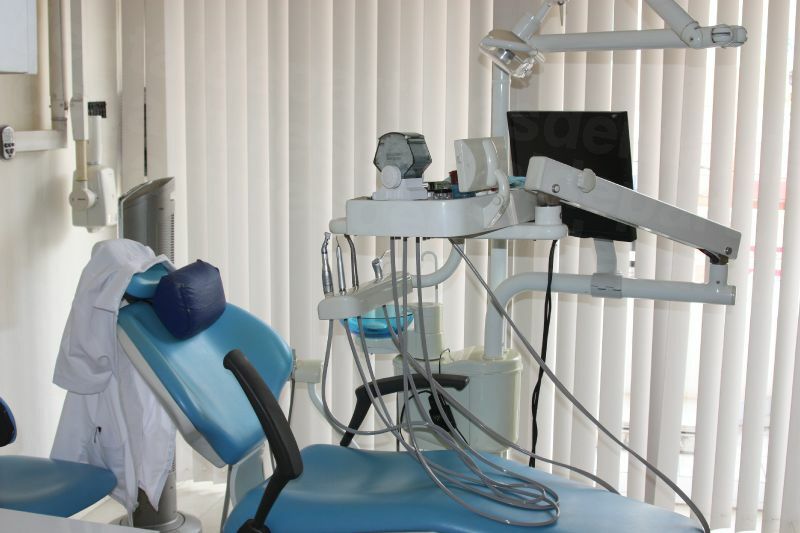 Why did you choose dental implants? I chose implants in the hope of a permanent solution to 70 years of inadequate care. Air Canada is the only airline serving North Bay. If you monitor their website and don’t have time constraints you can get a great deal. December 24 I paid $369 one way, changing planes in Toronto. The same flights separately that day if purchased at the same time were NB to TO $319 – TO to PVR $327. A friend is coming to visit Feb 24. N Bay to PVR – same 2 hr stop in TO $295. Separately, for the same flights and same seats it would be: NB to TO $327, TO to PVR $319. It pays to shop. Economy airfare can change drastically hr by hr. I stayed 4 nights @ $40.00 in an older downtown hotel reserved through Air Canada Vacations until I found a studio apartment $6000 MP – About $500.00 month Canadian. I usually pay about $400 a month but couldn’t find one this time so used a rental agent. Apartments in Puerto Vallarta range from $400 to $2000 monthly. I prefer my own food to restaurants and with a wounded mouth eating it is not a big pleasure anyway. During dental procedures an all-inclusive would be a total waste when you can’t eat much and meds may prohibit you from getting your money’s worth at the bar. Until I found an apartment I stayed at the AZTECA hotel. It’s secure, has pretty good WIFI, is close to the dental clinic, and costs about $40.00 a day. Only problem is no kitchens. Dining out is very similar cost to Canada. There are several hostels in the area, some with kitchenettes or a common kitchen. One could Google Hostels in Puerto Vallarta. Prices quoted are in pesos. Divide by 14 for approx. US $ or 12.5 for Can. $. If you get an apartment, groceries are about the same as at home. Beer is very cheap, coke is more expensive than beer. Junk foods are ridiculous. ($3.00 for a bag of chips). Anyone can google hotels in Puerto Vallarta and get quotes for the time period they will stay. Some older hotels have rooms with kitchens or a common kitchen serving a floor. After March rates drop substantially but it gets very hot and June to September lots of rain. Not good for vacation but who has fun with a sore mouth anyway. Not as many flights so fares may be higher. I have very simple needs so hate to give advice there, but salads especially with mayo are pretty and tasty and almost assure an instant purge. Sauces can have the same effect. Enjoy them if you wish but locate the bathroom before you eat and don’t plan any activities after dinner. Mexican chicken is much tastier than ours but if it’s not well done send it back. Steak is thin and tough unless you pay a ridiculous price at a top of the line place. Pork is cheap and delicious. Pizza is not like we get, even at the familiar franchises. Most places have a super special one day a week. (2 for one or all you can eat ribs, pasta, wings, etc.) There are great day cruises etc. at a reasonable price including most drinks and a meal stop. Ocean swimming here is not for beginners. Pacific coast has heavy surf with strong undertow (not like the Caribbean at Cancun) but fishing is great. What advice would you give someone considering getting implants in Mexico? As general advice I recommend using Mexican pesos everywhere. Vendors, stores, bars, and restaurants love to quote in US dollars at a poor rate of exchange. Hotels, the airport and on street cash kiosks are just brutal, especially if you change dollars for pesos to spend elsewhere. Banks give a fair rate but require id and at least 2 people to approve it. They make you wait long enough that you won’t bother them again. Free standing ATMs are a worse rip off than in Canada – usually about $8.00 per transaction, then your bank takes another $3. Most places add at least 3% to credit cards. Like at home the ATM at the lobby of a bank gives the bank rate with about a $3.00 or less fee regardless of the amount. Banks in Mexico, even with the same name are not affiliated with Canadian or US banks. Some have a limit of $6000 MP per day. I bring 2 bank cards. Sometimes ATM refuses your card or you could lose it so it’s good to have a spare. I bring 2 cards with $1000 per day limit then use ATMS with a 12000 MP daily limit and instructions in Spanish and English. 1 card failed after 3 hits but 1 was adequate for all the money I needed. I’ve rambled on about a lot of things here so feel free to ask more questions if they arise. Thanks for your time Lloyd and for sharing all of these details about your experience! Have a question or inquiry? Click the green button to get in touch with Just Smiles. Have a question for Lloyd? Ask in the comments! Please note: This interview is for informational purposes only and does not represent a recommendation of the dentists mentioned. All opinions expressed are those of the interviewee. Joan, who do you recommend in Merida? 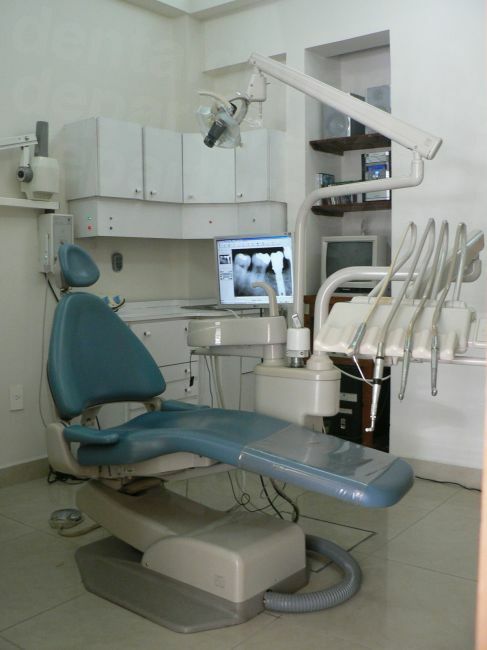 I am from Canada and I have found an excellent dental implant specialist in Merida, Mexico. I just had two implants started on November 14. One was a molar, lower jaw, left hand side. That tth had first to be extracted, a large chronic infection site cleaned out and bone grafted. The second was right next t it, distal, extracted 30 ys ago. The site has to be left to heal a few weeks before fixing the crowns in place. 25000 MXN per implant, about $200US for an MRI of the lowr jaw and $300US for the graft. Includes crowns. I’ll go back in March or April for the crowns, and have a third tooth implanted, molar, on the upper right side. Total of the first two will be @ $4000US.